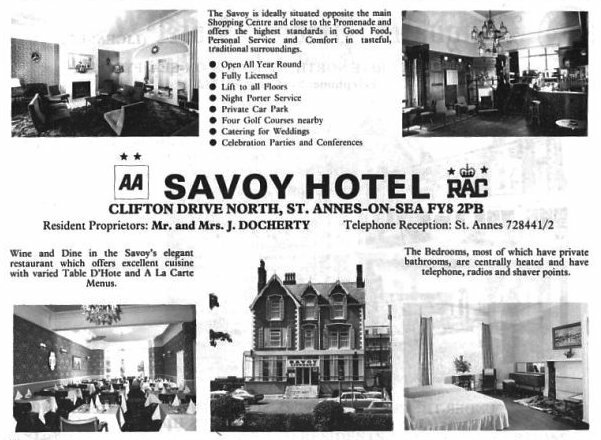 The Savoy Private Hotel, 5, Clifton Drive North (314 Clifton Drive North after house numbers were changed). Mrs. A. Kynaston was the owner in 1934, Mrs F Womersley in 1938 & Mr & Mrs J Docherty in 1980. There was a public bar in the cellar. In recent years there were several owners and in 2008 the building was adapted for use as St.Annes (Temporary?) Conservative Club. 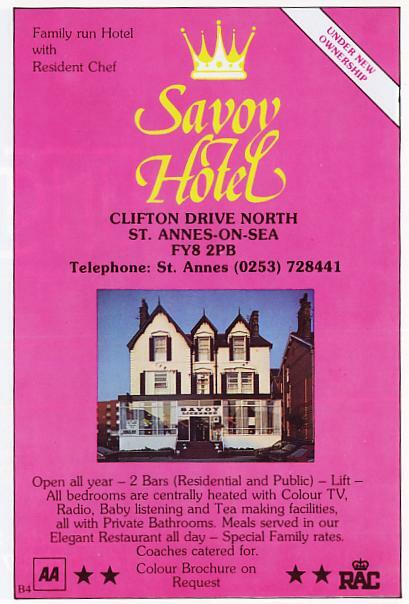 Advert from 1983 for the Savoy Hotel, Clifton Drive North, St.Annes-on-the-Sea.